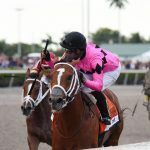 Even as the biggest contenders have been forced to hold off on starting their road to the Kentucky Derby, this weekend will still feature plenty of action as other Derby hopefuls line up in for prep races in Florida, New York, and Kentucky. 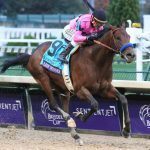 The main event for the weekend would have been the Grade II San Felipe Stakes at Santa Anita, where Bob Baffert-trained horses Game Winner and Improbable were slated to face each other. However, the decision by Santa Anita officials to close the facility for inspection after 21 horses have died since late December at the track has forced the postponement of the race. It also could affect next month’s Santa Anita Derby, which would likely be the final prep race for several notable Derby aspirants. With Santa Anita closed, most of the attention on Saturday will focus on Aqueduct and the running of the Grade III Gotham Stakes. 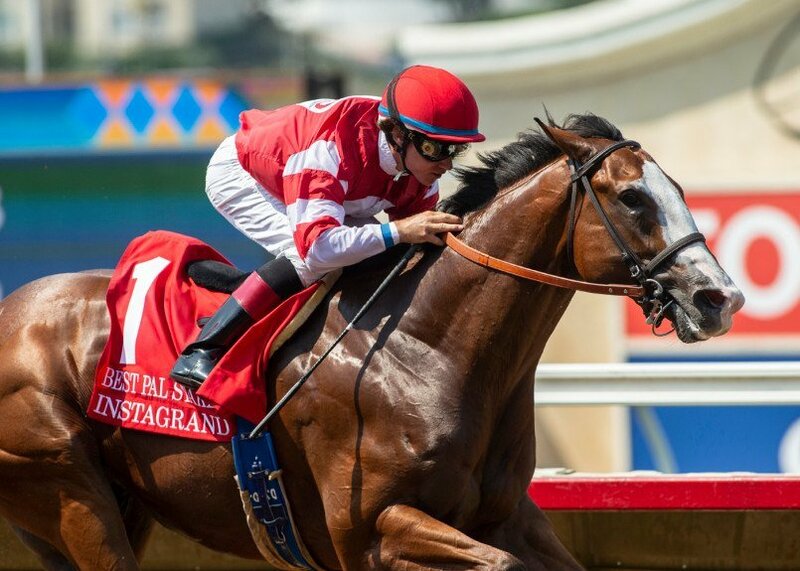 The winner will get 50 points in the Kentucky Derby Prep Race standings, and the early favorite is Instagrand, trained by Jerry Hollendorfer. The colt is slated to make his 2019 debut at the Queens track and is an even-money favorite in the 1-mile race featuring an eight-horse field. Despite the expectations, Instagrand owner Jerry Best said he’s still learning about the colt, which he bought for $1.2 million last year. At Tampa Bay Downs, Win Win Win is the 5-2 morning-line favorite in the Grade II Tampa Bay Derby. The winner of the 1-1/16th-mile race will also receive 50 points toward a Kentucky Derby entry. Well Defined, whose odds are 7-2, appears to be the main competition in the 11-horse field, and both won their last races. At Turfway Park in Florence, Ky., Somelikeithotbrown leads an 11-horse field in the Grade III Jeff Ruby Steaks. The son of Big Brown won last month at the northern Kentucky track and has finished in the money five times in six starts. Despite drawing the 10th gate, he is the morning-line 8-5 favorite in the 1-1/8th-mile race where the winner will earn 20 points toward the Derby. All three races air on Fox Sports 2. 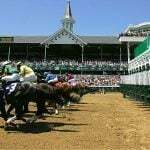 For those who have already made their Derby pick, Churchill Downs opened its third round of futures betting on Friday afternoon. Of the 23 horses listed, Game Winner starts the 5-1 favorite, with Fountain of Youth winner Code of Honor and Improbable both at 8-1. War of Will, who won the Risen Star, and Instagrand had morning-line futures odds of 10-1. Bettors can take the field, or all other possible Derby entrants not listed, as well, with morning-line odds set at 4-1. In addition, betting is open on the Kentucky Oaks futures. Bettors also can wager on futures exactas for either race and the Oaks-Derby Double. The futures pools for the Derby and Oaks close at 6 pm ET Sunday, with the Oaks-Derby Double closing 30 minutes later.